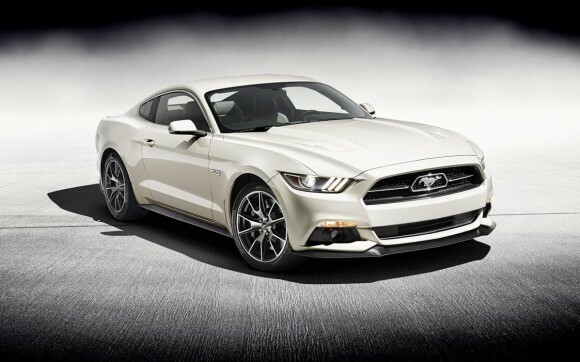 What’s better than a 2015 Ford Mustang? What’s better than a smoky burnout? How about BOTH? With 50 years behind it, an avid fan base excited to get more for their money, and Ford listening to what its customers want, we are totally set with this one, folks. Every 1320ft racer knows the tires have to be on the sticky side to tear off from the tree and make any sort of respectable run down the track. The process, of course, is a calculated tire burnout based upon a plethora of circumstantial factors required by the car, track, weather, and…..the list goes on. Well now, there’s one less thing to have to think about AND to have to think about installing from an aftermarket source: a line lock. 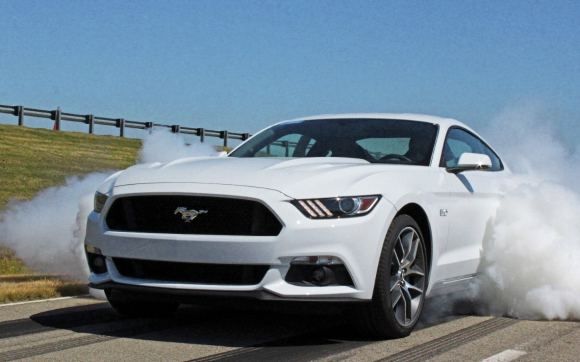 That’s right–Ford is offering up the chance for saving some rear brake pads and simultaneously shredding the rear tires on the 2015 Mustang GT…as a standard offering. The comical part in all of this? 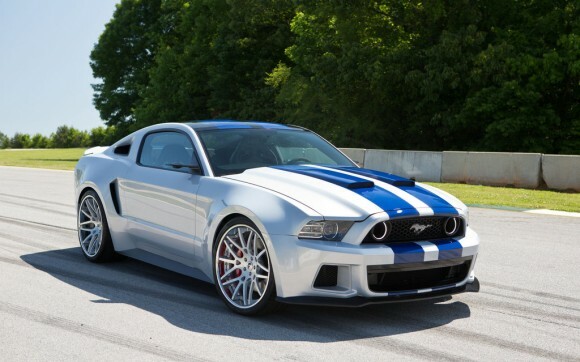 Ford offers the line lock feature from the factory, states that the feature should only be used when racing in sanctioned areas, then closes with saying any racing of the car automatically voids the warranty. Wait, what? Bean counters and lawyers got the last words on this news, it seems, hah! 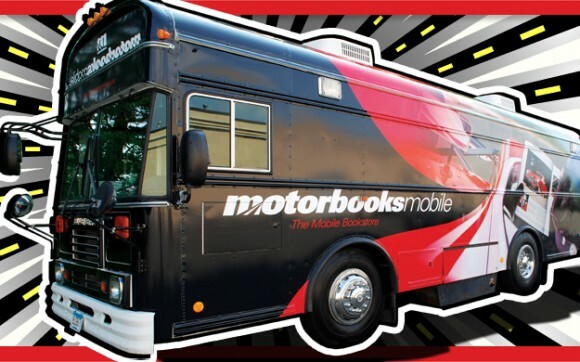 Keep tracking to see this in action and to read the official Ford Press Release. 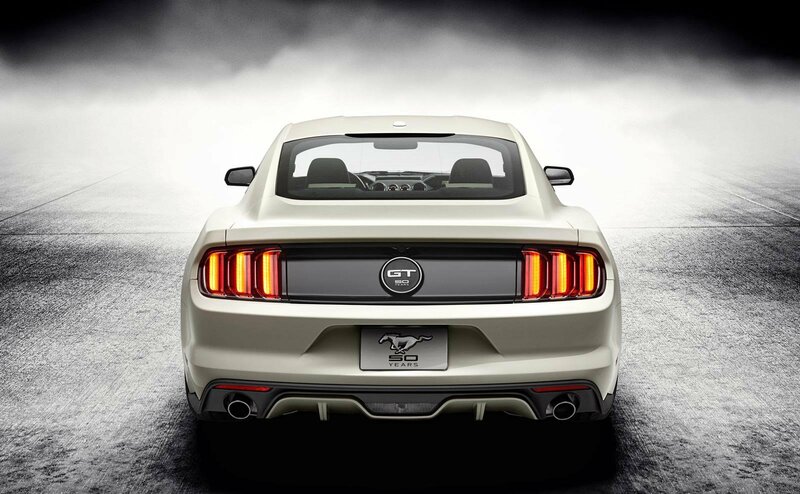 We’re finally on the homestretch for seeing the unveiling of the 2015 Ford Mustang, and what do we have here? 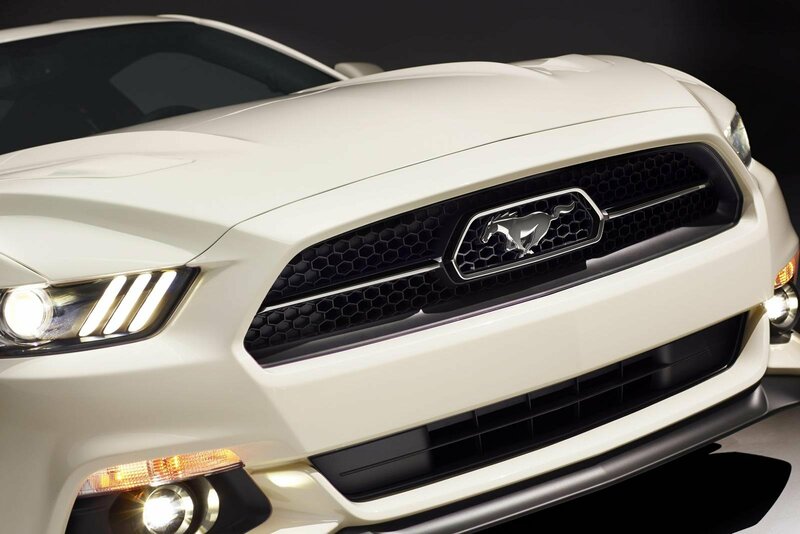 Some snappy shot(s) of the 2015 Mustang taking a relaxing stroll about the streets of motown. 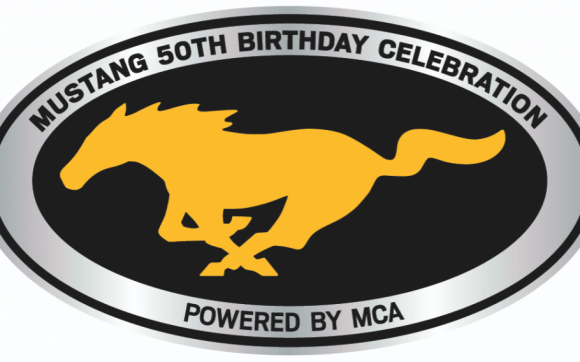 Well, it’s not just the 50th Anniversary of the Ford Mustang, but this photo captures the reported 50th Anniversary Edition of the half-century-old pony car. This prototype looks to promise a new grille with its infamous pony emblem, some Brembos underneath some split-spoke rims, and Pirelli rubber for the shoes. 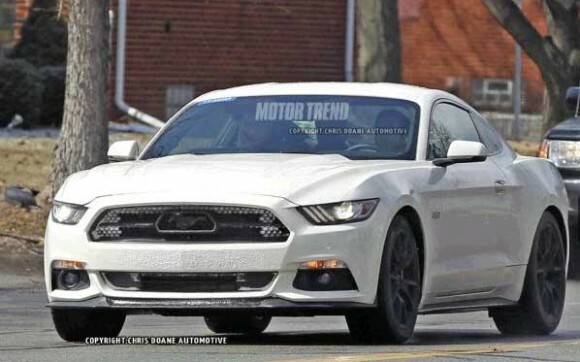 We’re not able to assume too much more than what we can speculate upon, but we all know the 5.0-liter V8 power plant will be underhood to scream out some birthday burnouts, for sure! Want to see more? Then stay tuned–we expect to see this variety debuted in official capacity at the 2014 New York International Auto Show in just under two weeks (4/16/2014). 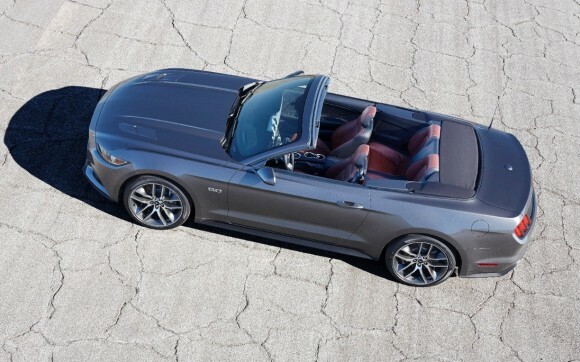 It was just over a month ago when we first saw a solid cut of the 2015 Mustang convertible, and now, we get to take a video tour of all of the design features the fine folks at Ford have wrapped up into this one. Oh, and in case you didn’t know–it’s April this week. We’re getting closer to # 50, everyone! 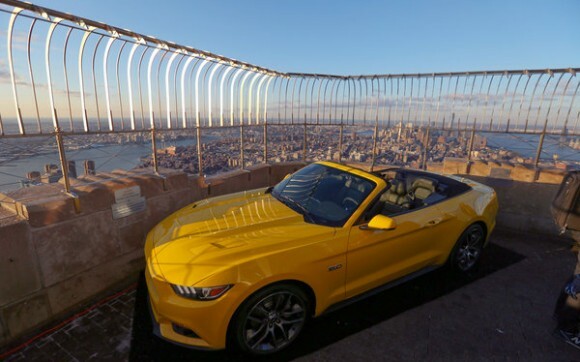 With statistical measures placing the convertible at about 20% of units sold for the Ford Mustang, the design team has placed a lot of effort and time into this edition of the Mustang convertible. 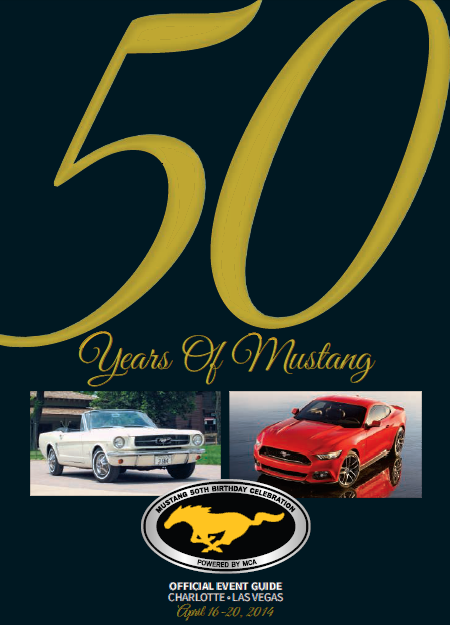 From stuffing the trunk with bodies golf bags, to reducing the amount of latch “work” to get the top down, this 50th Anniversary Mustang rag-top is going to be one which sets the tone for many cruises & parades to come in the near future. Want to know or see more? Hit the video link to see it all in action!